Drugs that help millions of people to cope with their pain may cause more serious diseases. 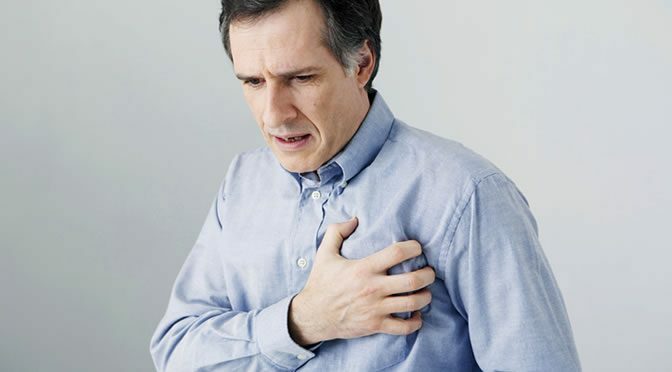 Long-term use of heartburn and acid reflux medications prescribed by practitioners or sold over-the-counter can speed up the aging of blood vessels. Antacid drugs are proton pump inhibitors (PPIs), a class of drugs used to reduce the production of stomach acid. These drugs can speed up blood vessel aging which leads to vascular dementia (cause by impaired supply of blood to the brain), kidney and heart disease. About one in 14 Americans have tried PPIs to treat a wide range of digestive disorders such as heart burn, acid reflux and ulcers of the stomach and part of the gut called the duodenum. In 2009, PPIs were the third most-used type of drug in the U.S..
PPIs like esomeprazole (sold under the brand name Nexium), Omeprazole (sold under the brand names Prilosec and Losec) can be purchased over-the-counter. These drugs are effective as antacid and at treating gastroesophageal reflux disease (GERD), H. pylori infections, Barrett’s esophagus and Zollinger-Ellison syndrome. Despite the fact that they haven’t been approved for long-term use, up to 70% of PPI use is inappropriate. The new study led by Dr John Cooke found that long-term exposure to PPIs speeds up the biological aging of the blood vessel lining (endothelial cells) . In healthy humans, endothelial cells prevent blood from sticking by creating a Teflon-like coating. With disease and aging endothelial cells have a Velcro-like effect, and blood elements stick to the vessel to form blockages. “When we exposed human endothelial cells over a period of time to these PPIs, we observed accelerated aging of the cells. The PPIs also reduce acidity in lysosomes of the endothelial cell. The lysosomes are like cellular garbage disposals and need acid to work properly. Dr Cooke thinks this may also explain why long-term use of these drugs increases the risk of heart attack, kidney disease and dementia. “These drugs do not seem to adversely affect the heart and blood vessels when taken for a few weeks. However, we urgently need studies to assess the impact of long-term use of these drugs on vascular health in a broad patient population. The study was published in Circulation Research (Yepuri et al., 2016).